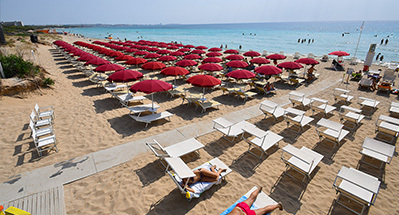 A pristine beach, the sea of Gallipoli, a lot of comfort and relaxation! In the heart of Salento, an ideal area for your holidays in Gallipoli, surrounded by a large pine forest! The beach resort has 120 umbrellas. Solarium area with sun loungers and beach chairs. 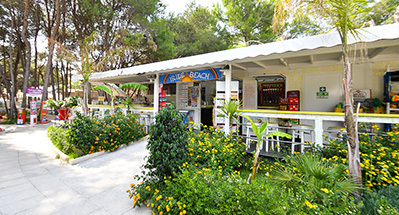 Iride Beach Resort in Gallipoli organizes events and entertainment from dawn to evening. During the day, you will take a break and enjoy a cool cocktail in the lounge bar, which will delight you with a wide choice of hot and cold dishes. Welcome to the wonderful Gallipoli, the pearl of the Ionian coast. Sea, white dunes, art, history, entertainment: one of the most charming places in Salento.